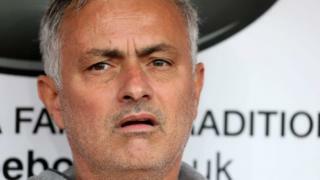 Manchester United manager José Mourinho is reported to have reached a deal with the Spanish state over a long-running tax dispute. He was accused of owing nearly €3.3m in undeclared image rights revenue for 2011 and 2012, when he was Real Madrid manager - an allegation he disputed. Spain's El Mundo newspaper reported he had agreed to pay a fine of €2m (£1.8m; $2.3m). El Mundo also reported that he had accepted a one-year suspended jail sentence. But sources close to the manager said no prison term had been imposed or accepted.